Open to public to view exterior at all times. Interior available to view during the Jefferson County Fair. Elm Grove School, Center District # 4, is one of 400 one-room country schools left in Iowa. It was originally located on Hemlock Avenue, approximately 5 miles northwest of Fairfield. 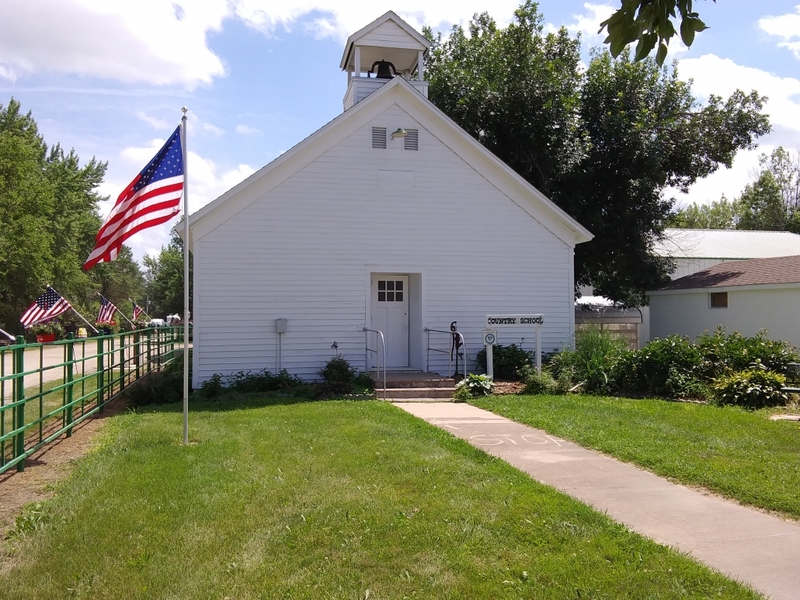 The building was closed in 1960 as part of the reorganization of Fairfield Community School District. 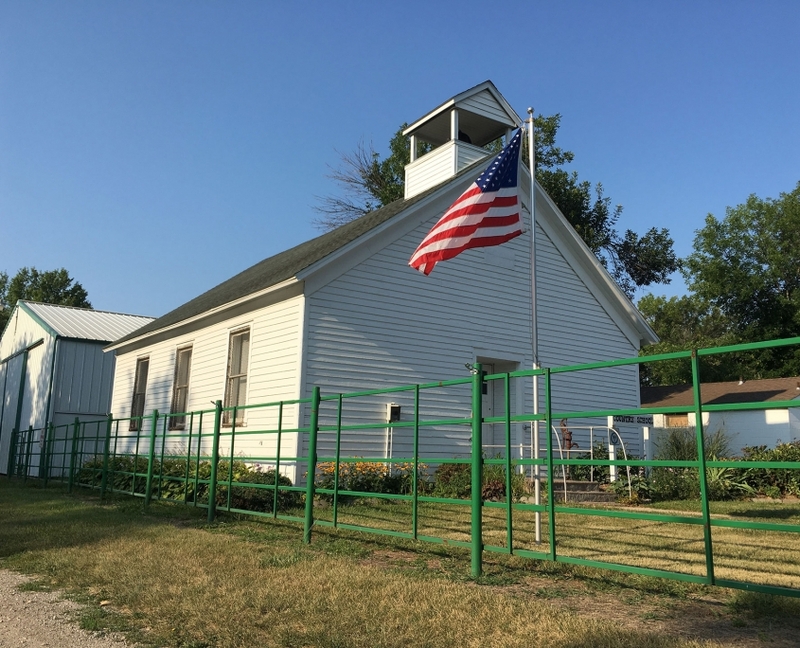 It was moved shortly after to the Greater Jefferson County Fairgrounds by a group of citizens who wanted to preserve the school for the future generations to have a better understanding of education in the county as well as the state. In the February 16, 1922 issue of the Weekly Ledger, Maurine Larson wrote that people came and settled in the area around Elm Grove because the land was high and well drained. There was much timber land which was used in making log houses and fuel. The first school house was a log building. When the people got together to build the log house there were so many elm trees where the building was built that they called it Elm Grove. The school was surrounded by bushes and brush. Crude benches and a fire place were all the equipment they had. 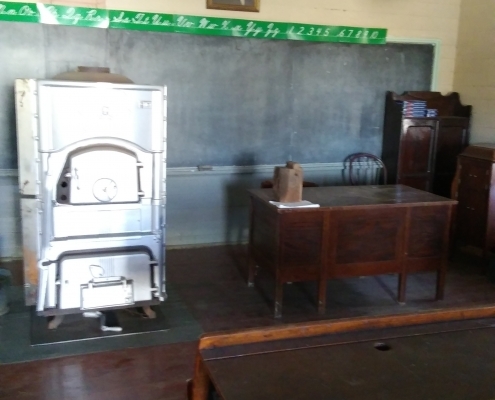 From 40-60 students attended this school. Often when they would look up from their work they would see a Native American looking in the window at them. 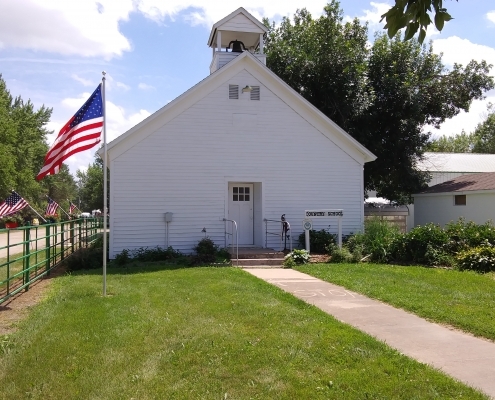 The present school building was built in 1866 but by 1922 it had been remodeled three times. 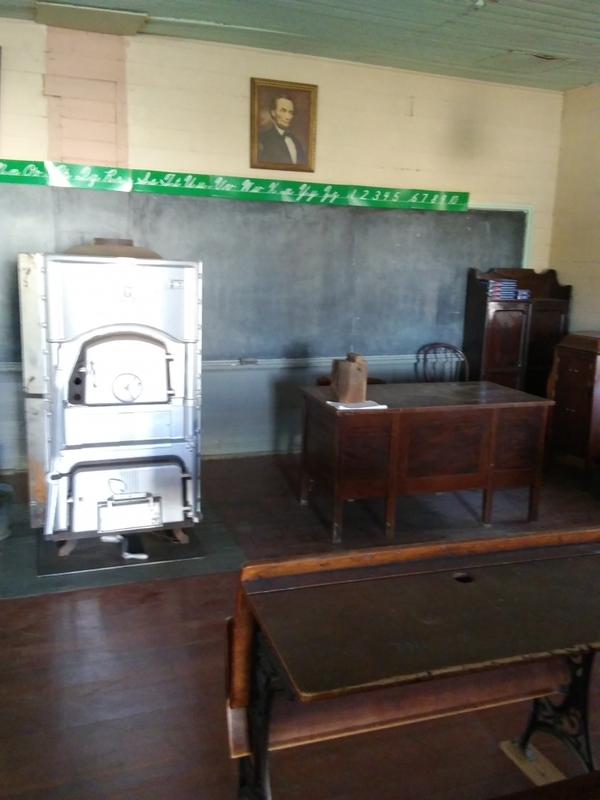 At that time it had a stove, bookcase, teacher’s desk, pictures, twenty single seats, two gas lamps and a large slate blackboard. There were 18 students in 1922. 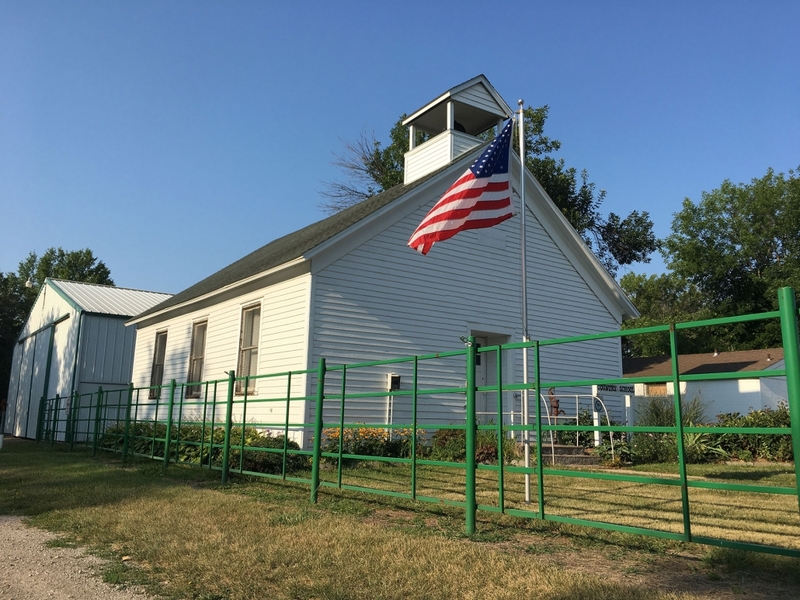 Elm Grove is currently open during the Greater Jefferson County Fair each year. 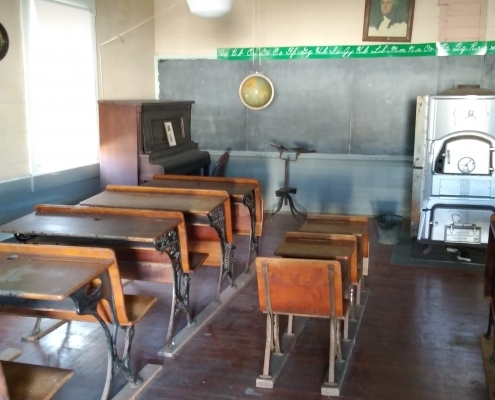 Fairgoers are encouraged to stop in to see what school used to be like and to visit with the caretaker to hear stories of past students, to look at the many old textbooks, and to get a feel of what it might have been like to have attended school in the “old days”. There are also special activities during the fair in the school. It is also opened upon request to groups. 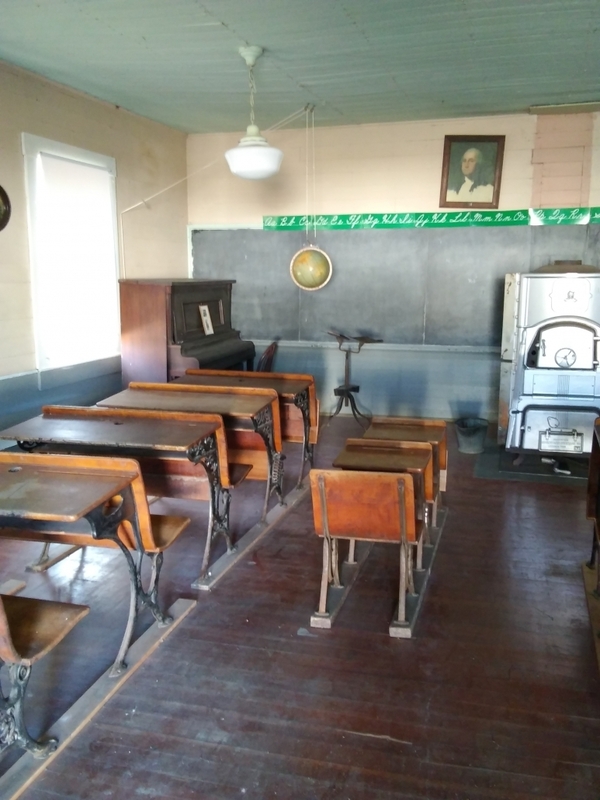 At one time, there were approximately 100 school districts in Jefferson County, each district with its own one room school. They were numbered by townships. In 1924 there were 83 rural schools and 6 high schools. In 1952 there were 60 rural schools and in 1953 there were 55 rural schools. In 1957 the Fairfield Community School District was organized. At that time there were 52 rural schools operating. The 100 districts had now become one. 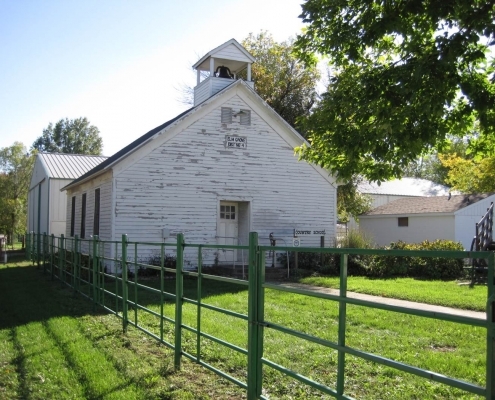 Five years later, May, 1962, the last rural school in Jefferson County closed its doors. Only a few remain standing in the county, most in poor repair. Jefferson County Heritage aims to inspire the future generations that take direction from the lessons of our past & the wisdom of our elders.